Lock in a great price for Melarose Feng Shui Hotel – rated 8.5 by recent guests! 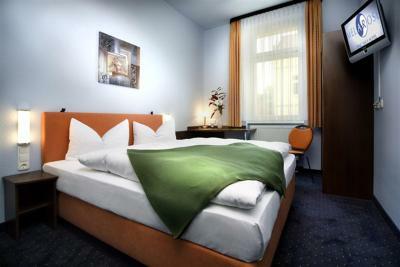 Very new and clean rooms, really close to Alexanderplatz (10 min on tram). Good breakfast and polite staff. The staff in the reception was super friendly. The room was very clean and had everything you would need. There was a tram right in front that would take you in 10 minutes to Alexanderplatz. The location is perfect, all is clean and staff friendly. My partner and I stayed in this hotel for weekend . 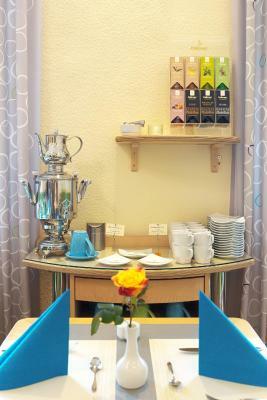 Very nice staff, clean quiet room, comfortable bed, soft new towels, and very good breakfast. 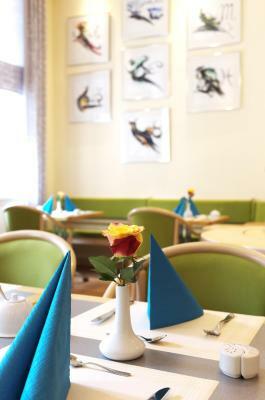 Very convenient location: short travel by tram to the center; close to many good restaurants and shops in Prenzlauer Berg. 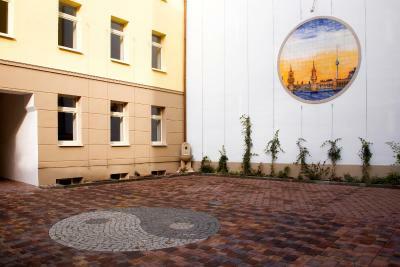 Great location, just few seconds from bus station. 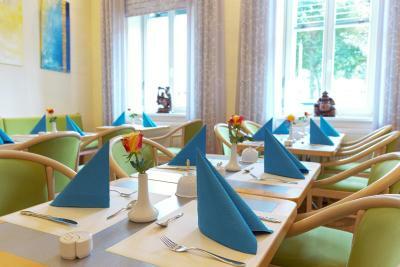 Also you have many restaurants and bars near the hotel. The staff are great and ready to help. The bed is comfort and there's things to make yourself tea in the room. 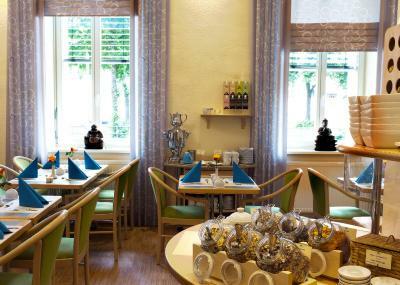 lovely buffet breakfast-big comfy beds-ecellent location near tram stop-close to many good cafes and restaurants-near interesting independent shops and tree lined avenues. 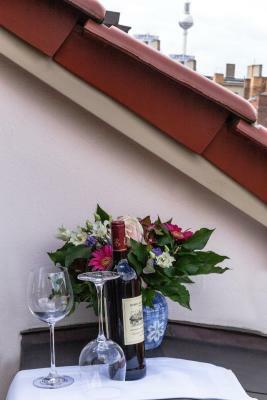 Melarose Feng Shui Hotel This rating is a reflection of how the property compares to the industry standard when it comes to price, facilities and services available. It's based on a self-evaluation by the property. Use this rating to help choose your stay! 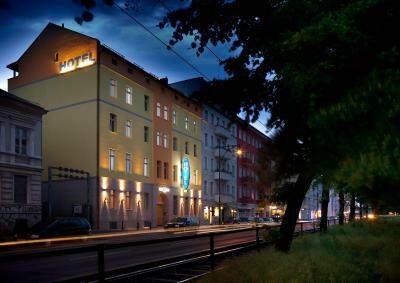 One of our top picks in Berlin.This Feng Shui hotel in the lively Prenzlauer Berg district of Berlin is just a 10 minutes’ walk from the Volkspark Friedrichshain. It features rooms without electronic smog. 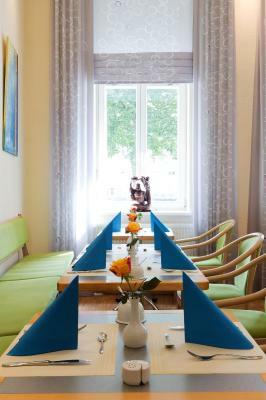 Guests can easily walk to trendy Kollwitzplatz or Danziger Strasse in under 10 minutes. Alexanderplatz and Hackescher Markt can be reached in around 10 minutes with the M4 tram, which stops just outside the hotel. Berlin Main Train Station is just a 15-minute tram ride away. When would you like to stay at Melarose Feng Shui Hotel? Colorful room featuring a TV and a private bathroom. 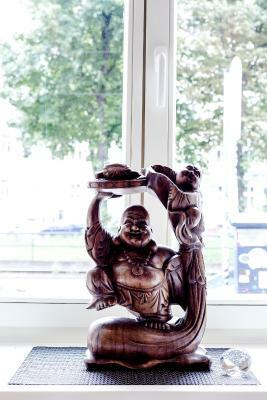 House Rules Melarose Feng Shui Hotel takes special requests – add in the next step! Melarose Feng Shui Hotel accepts these cards and reserves the right to temporarily hold an amount prior to arrival. Charmless decor. Single room very small. Pillow so thin it’s silly - even two stacked didn’t help. Very clean and quiet. Good location. The bed comfort could improve and I found the mattress to be too soft inside room 16 and which created discomforts. Most of the staff on duty were very helpful. I found the hotel accidentally while trying to recover from another badly managed reservation at another hotel. Right in front of M4 Tram (although it was not operational temporarily). This seems the old town area where few pub options and Turkish & Vietnamese food options. Staff, location - litterally everything really met my expetations. Nothing that I can think of to include here. Just a quick one night stay but the admin was absolutely problem-free and the room was compact with everything at hand. Surprisingly quiet considering it is on a quite busy road with trams (good connections). Breakfast looked good but didn't try it. Offering a "welcome water" for 2.5 € is a bit weasely. Very clean, well situated, excellent price/quality. Comfy bed and great location! The pillow was too soft. It did not support enough the head.